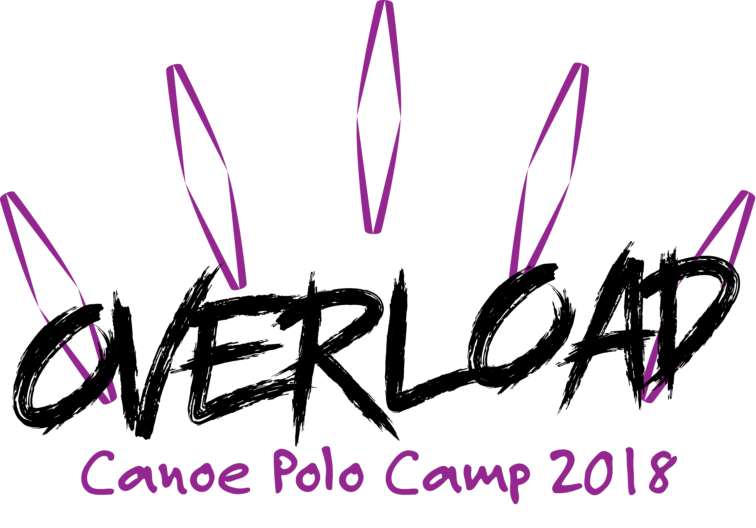 You’re invited to ‘Overload 2018’ a two day intensive training camp for Junior Canoe Polo players in Ireland. Experienced and beginner players between 9 and 18 are welcome. The weekend promises to be a packed with learning, polo skills development, game play and some fun. The Harbour in Mullingar is an enclosed area with onsite camping and facilities, so the perfect location for this two-day Canoe Polo getaway ! Anyone aged 9-18 that wants to learn or develop their Canoe Polo Skills. For players with previous experience this is a 2 day event, with separate groups for Under 14 and Under 19. 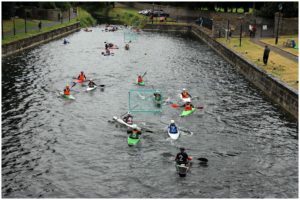 For beginners aged 9+ with some paddling experience but who have not tried Canoe Polo before, this is a one-day ‘taster’ session on Saturday 1st, to come along, and spend the day trying out this fun team sport. Polo stuff non-stop ! The days will be packed with training sessions on and off the water, skills and drills, game play. Saturday 9.30am to 6pm (includes Barbecue). There will be some additional fun mix-em-up games for anyone camping/staying over. Water, and snacks will be provided. Please bring your own lunch. There will be a barbecue for everyone on Saturday evening in the harbour. Camping is available onsite and is included, but you must request it when registering. If your children are camping, then you, or a designated guardian, or supervisor will be responsible for them. What do all those hand signals mean ? And just what is Obstruction ? …. To answer that and more, there will be a “Bluffers guide to Polo” course on Saturday 1st – a 2 hour, session designed for parents and volunteers that want to know more about the game. See you in Mullingar for the first ever OVERLOAD!